Life isn't always fair. You can't control that, but you can control how you think and act when things don't go your way. You have to hang in there and keep after it, not get down and give up. Derek has a lot to look forward to. School is almost out, his baseball team is competing in the Westwood Little League Playoffs, and then he'll head to his grandparents' house for the summer. Sure, there are finals to study for first, but Derek doesn't mind. Maybe this year he'll get better grades than Gary. But when his best friend Dave starts to act strangely, ignoring Derek and canceling their plans, his summer isn't looking quite so fun. What's going on? Doesn't he want to be Derek's friend anymore? 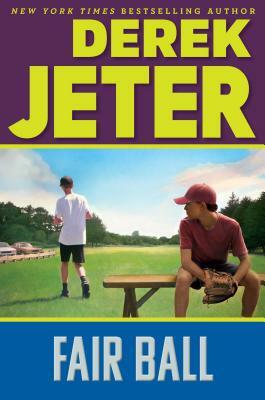 Derek is so distracted by his problems with Dave that he makes a mistake in the outfield during a key play -- and his team loses the game. It's so unfair! With the championship at stake and finals looming, Derek needs to stay focused or risk everything.